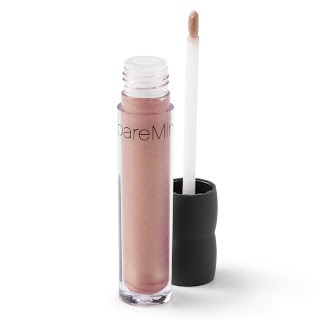 OC Mom Activities: It's Bare Escentuals Lip Gloss Giveaway Time! Ok girls, I know you love Bare Escentuals products, so here's your chance to win a free lip gloss! It's not available in stores yet (it will be available May 2010 at Bare Escentuals Boutiques, Sephora, Ulta, select Nordstrom & Macy’s). Mandatory first entry: In a comment below, tell me which lip gloss color you'd want from the list. This giveaway is only open to the US residents and will end March 5th at Midnight Pacific Time. If you don't include your email in your comment, make sure I have a way to reach you to get your mailing address (i.e. Twitter, etc.) or be prepared to check back on the 6th to find out if you're a winner. *I was given a sample product to facilitate this giveaway. Sugar Cookie sounds good to me! I'd have to go with iced coffee or sugar cookie! Chiffon or Wild Honey as a second pic! Previous comment left by Jen Klein, if you didn't figure it out! I'm thinkin Cassis might be my shade. Sugar Cookie (Pink Peach) Please. Cassis (Golden Rose) sounds sophisticated and versatile, wear anywhere and glow gorgeous! I went to the website to check the colors to see what they really looked like and I was surprised that I liked most of them so it made it hard to choose, but I think I would love to try a darker shade that what I normally wear. I would love to try the Cassis. I am a fan of OCMomActivities on Facebook. I an a fan of Bare Escentuals Cosmetics on Facebook. My id is Sandy Brower. I took the quiz.. :( didn't win..